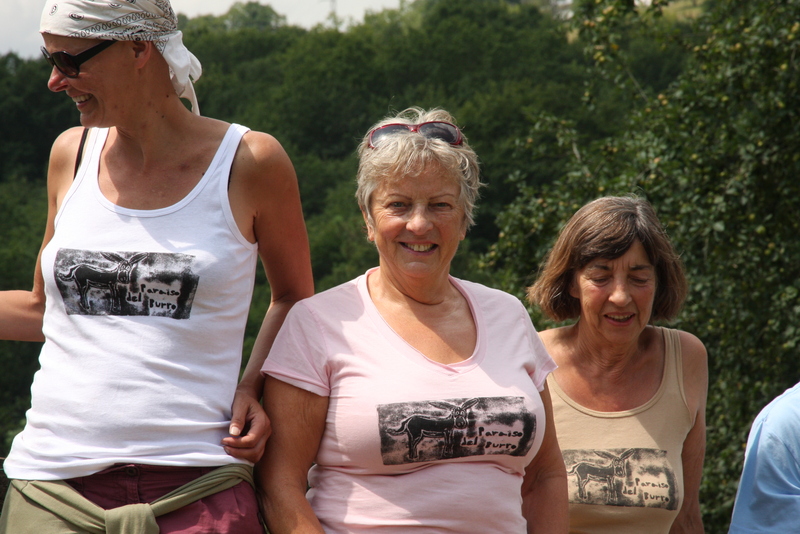 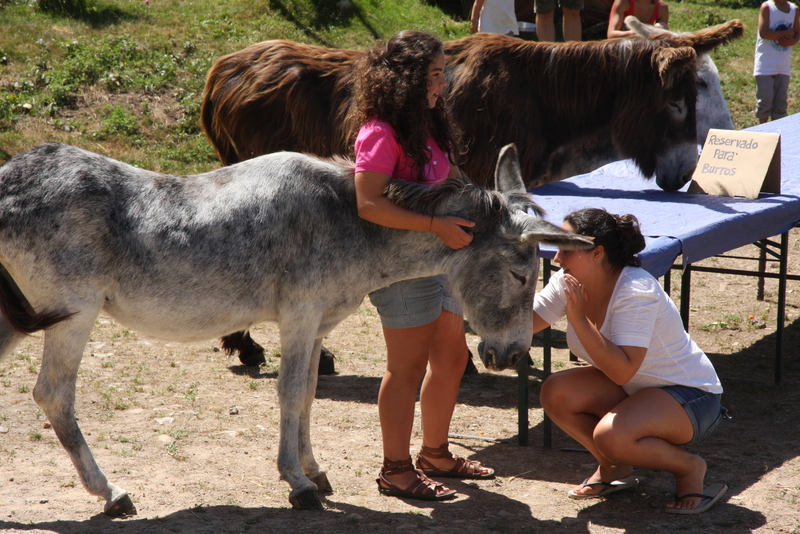 Our Open Day on Sunday 4th August was a great success, with the donkeys on their best behavior. 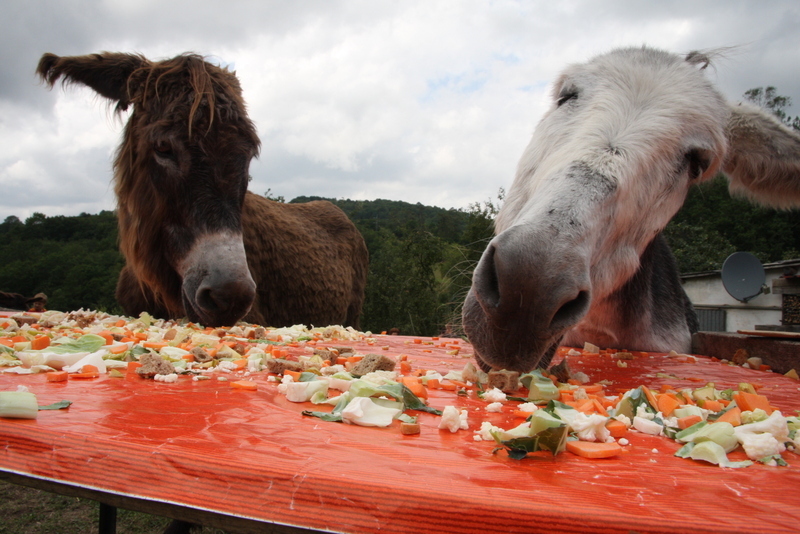 The table was laid and the food was arranged whilst the donkeys were peacefully grazing in the meadows, however, the summer breezes quickly carried the scents of cabbage, carrots, apples and pieces of bread to their nostrils as a row of heads soon appeared at the fence. 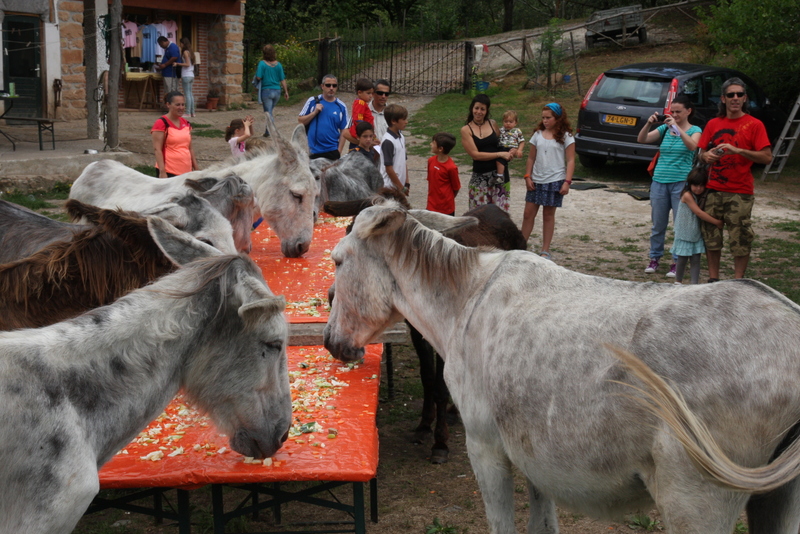 The hot weather added to the lively atmosphere around the table as the donkeys enjoyed their banquet, watched over by enthralled adults and children who joined in the party atmosphere. 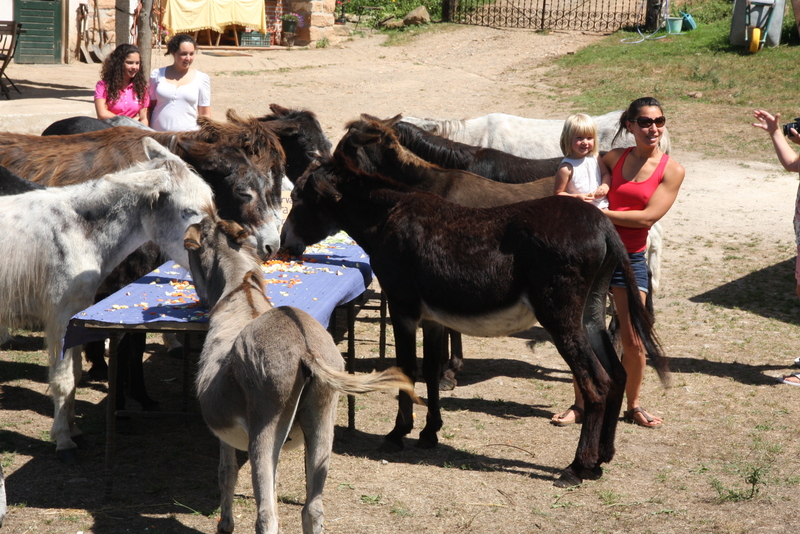 It didn’t take them very long to devour all the food on the table and then they went to mingle with their guests hoping for an extra treat or a stroke behind their ears. 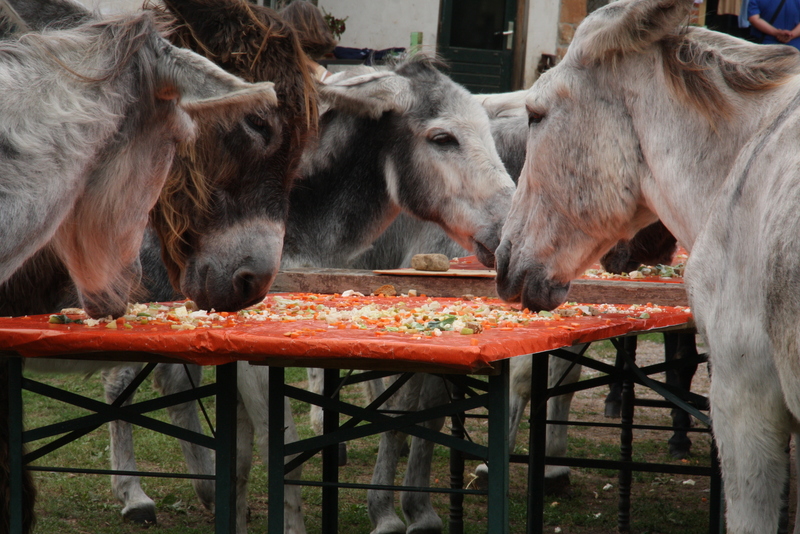 This was our final donkey banquet for 2013 but the donkeys will still enjoy their daily supply of fresh vegetables with their meals throughout the year. 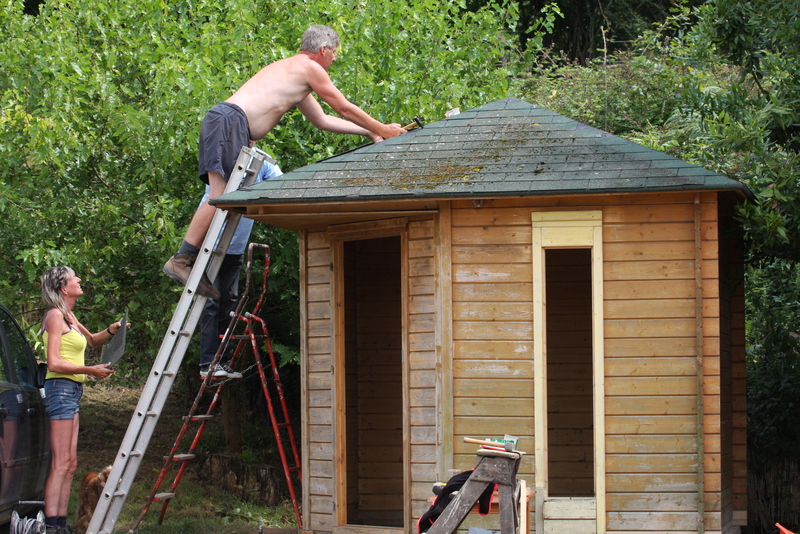 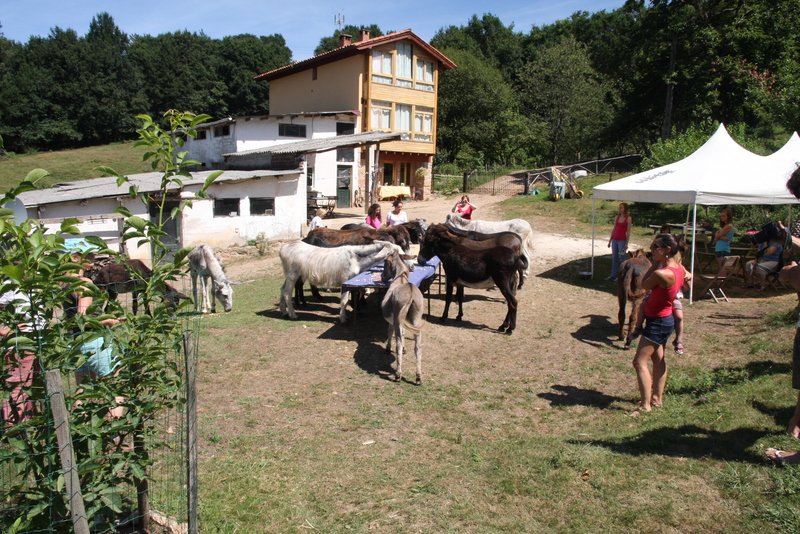 The next Open Day will be on Sunday 6th October. 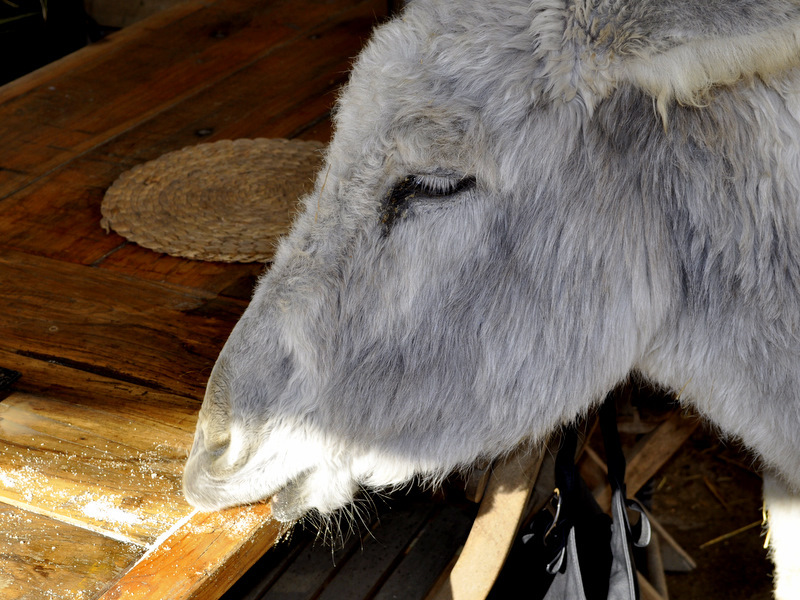 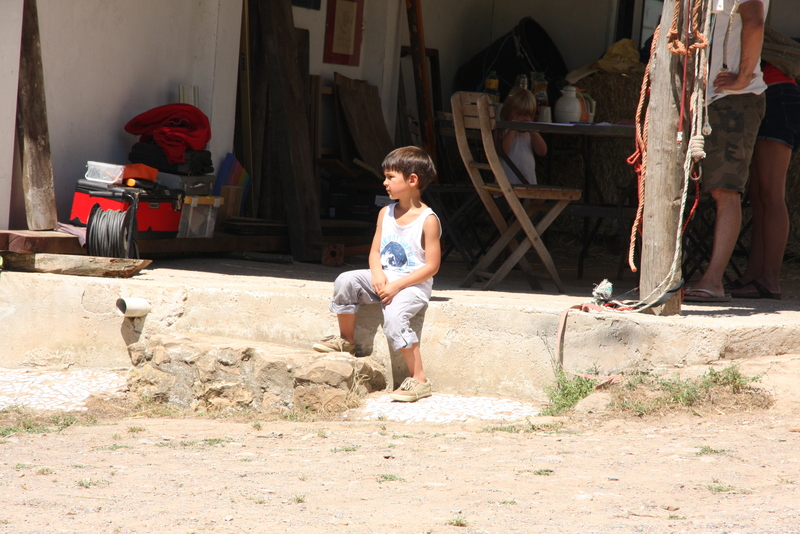 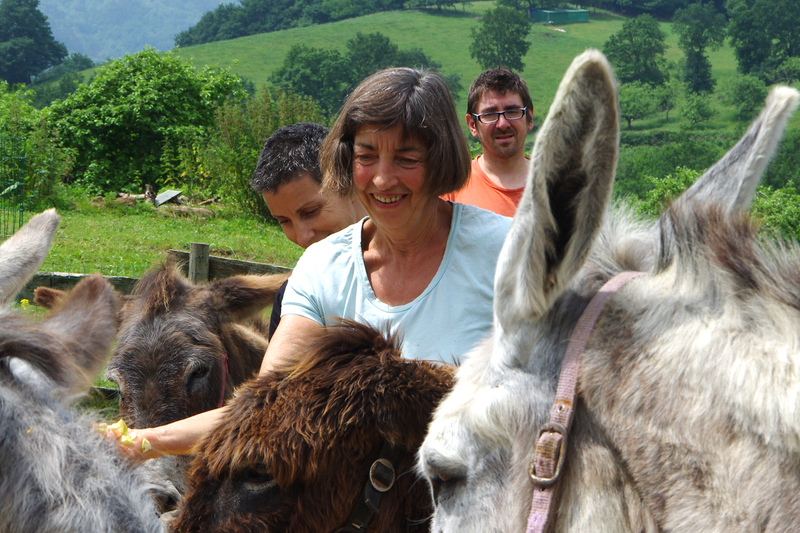 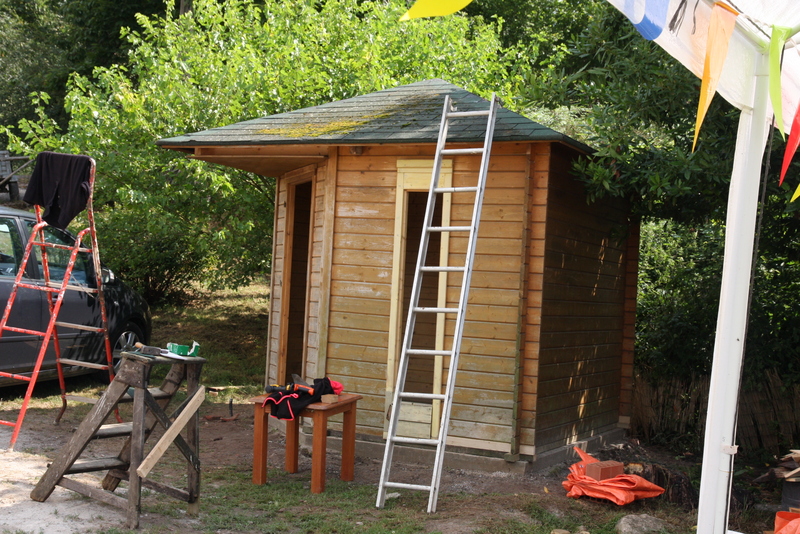 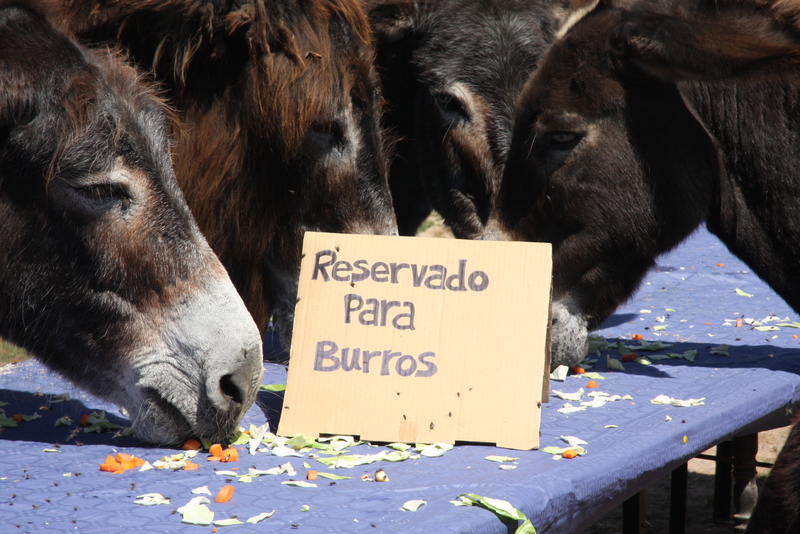 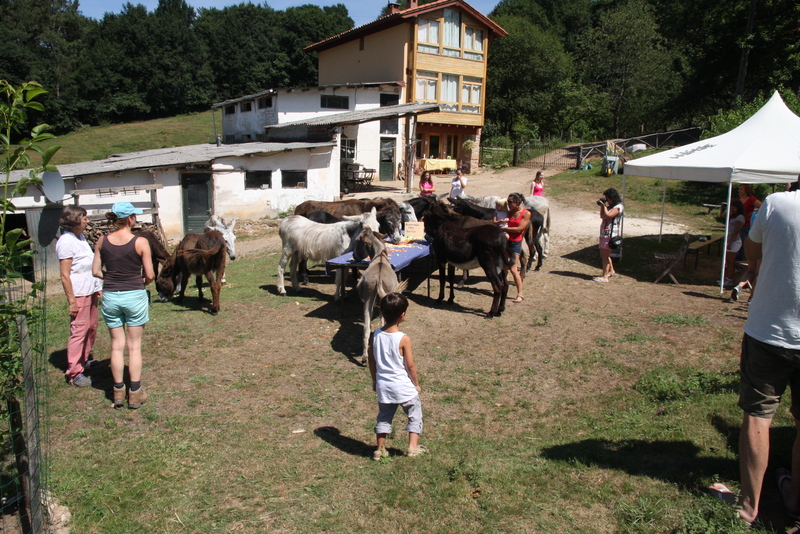 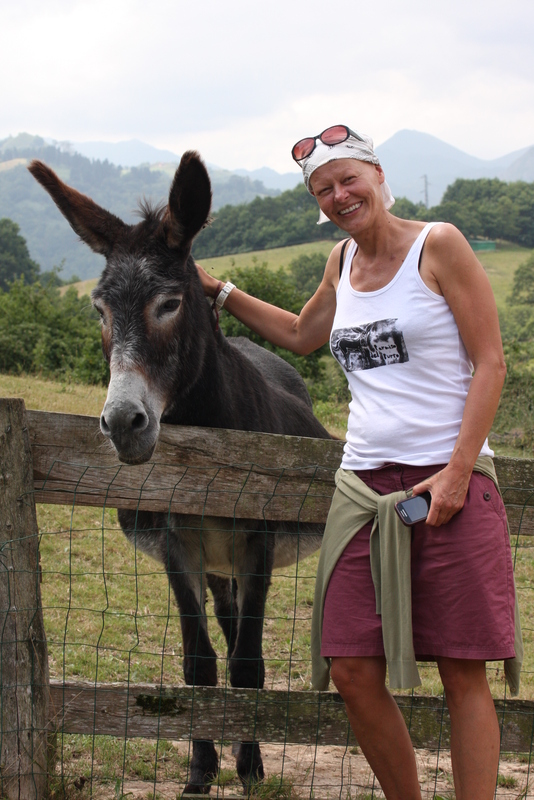 Pictures of the recent open day at El Paraiso del Burro with the donkeys having a picnic. 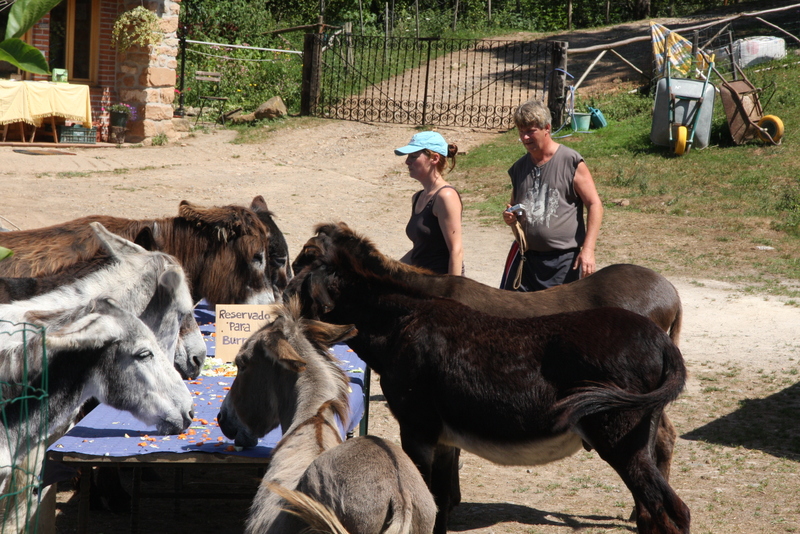 It was a great day enjoyed by all, especially the donkeys!! 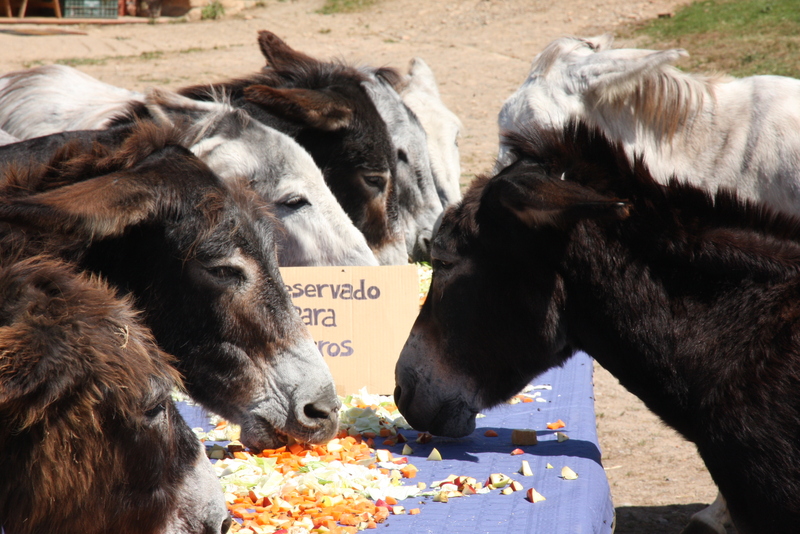 The donkeys at the refuge El Paraiso del burro in Asturias, Northern Spain, enjoy a picnic of their favourite foods. 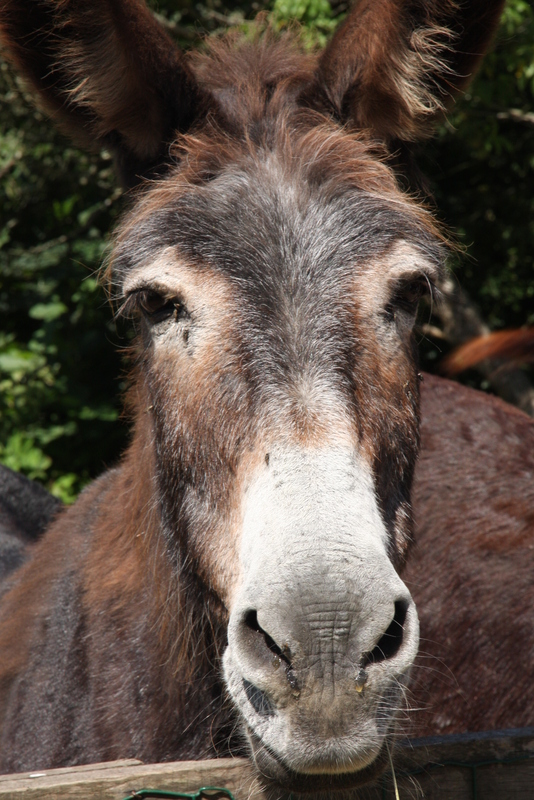 The website is currently experiencing technical difficulties but we hope these will be resolved shortly. 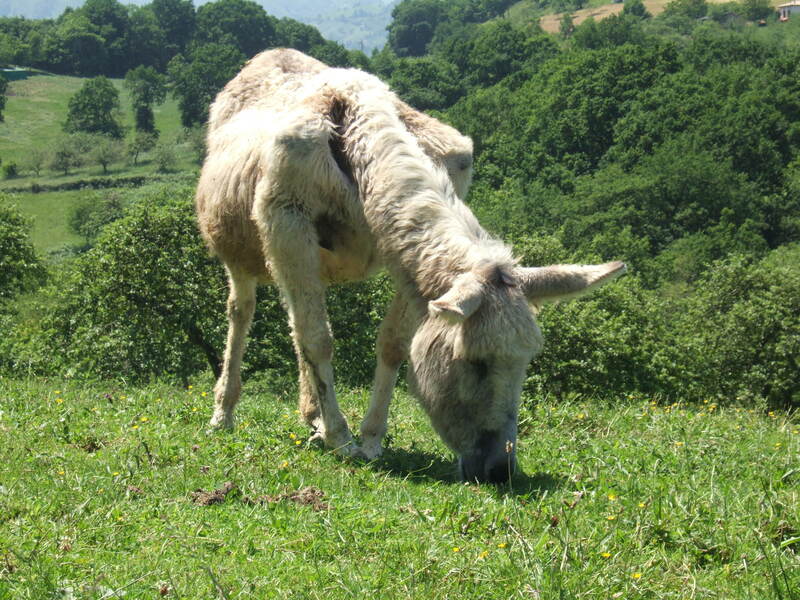 We are very grateful to everyone who kindly donates money for the donkeys at “El Paraíso del burro” and for those of you who have donated money towards the well-being of Juliet here is a recent photograph of her as she feeds in the meadow. 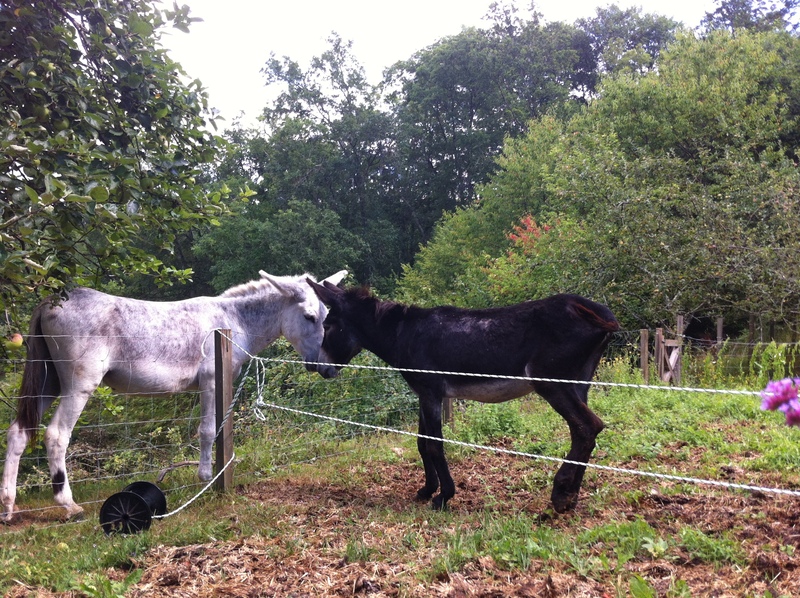 As you can see, Juliet is getting a little fatter but we need to be careful that she doesn’t put on too much weight. 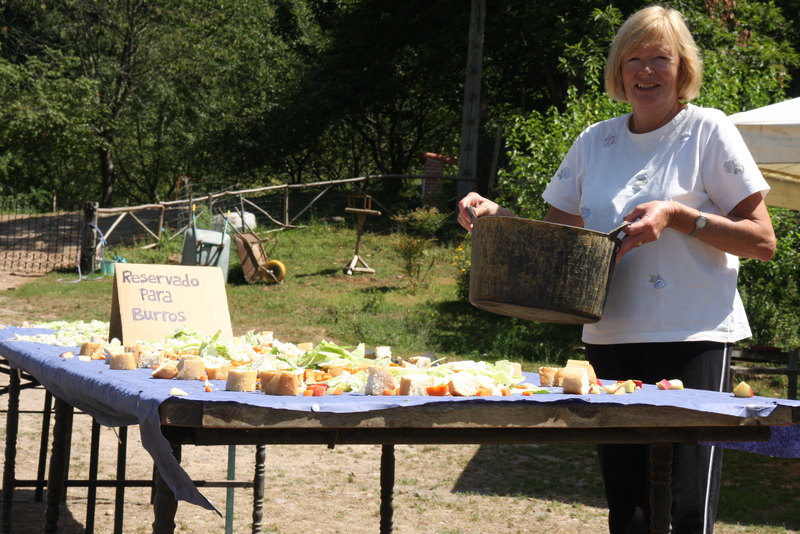 She eats very well and really enjoys her food. 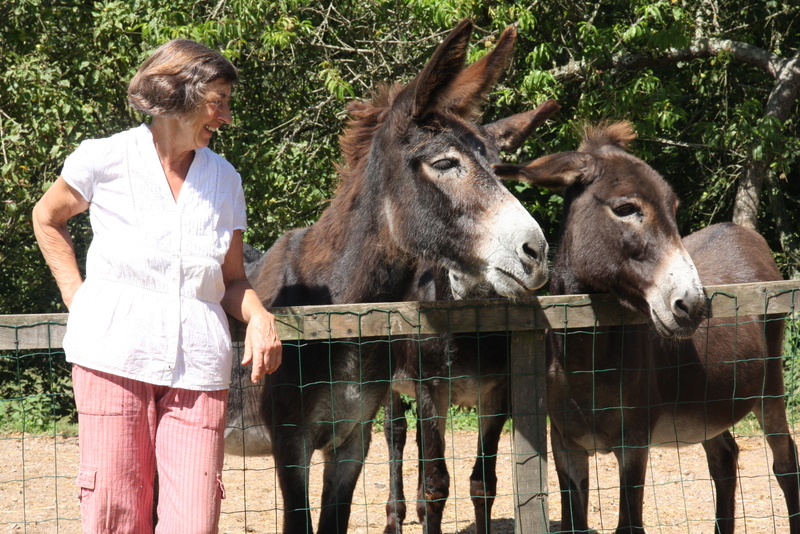 When she is in the stable with the other donkeys she can certainly stick up for herself and will push away any other donkeys who try to get near to her portion of carrots and apples. 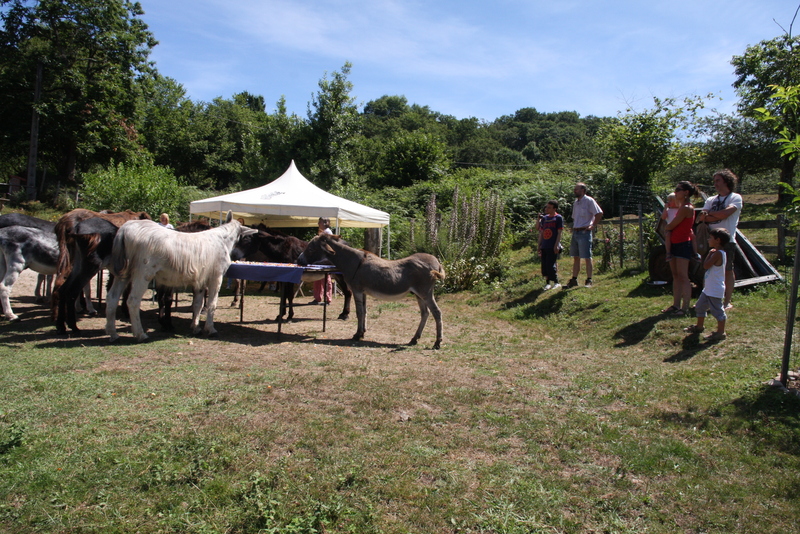 You are invited to come and see Juliet and the other donkeys and animals at the next Open Day on Sunday 5th June, 2011 from 11 am to 2 pm. 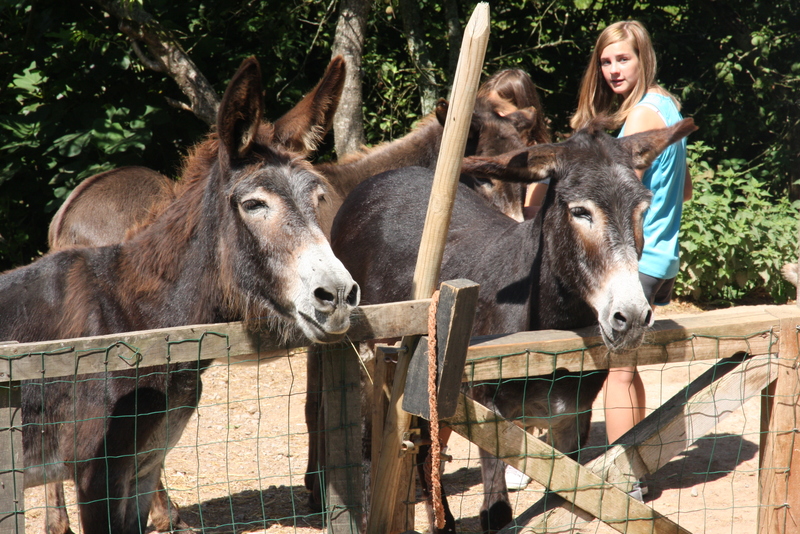 TOWARDS JULIET AND HER FRIENDS.